Many thought this camera would never see the light of day, or it would do so as some strange film-digital hybrid with interchangeable backs. 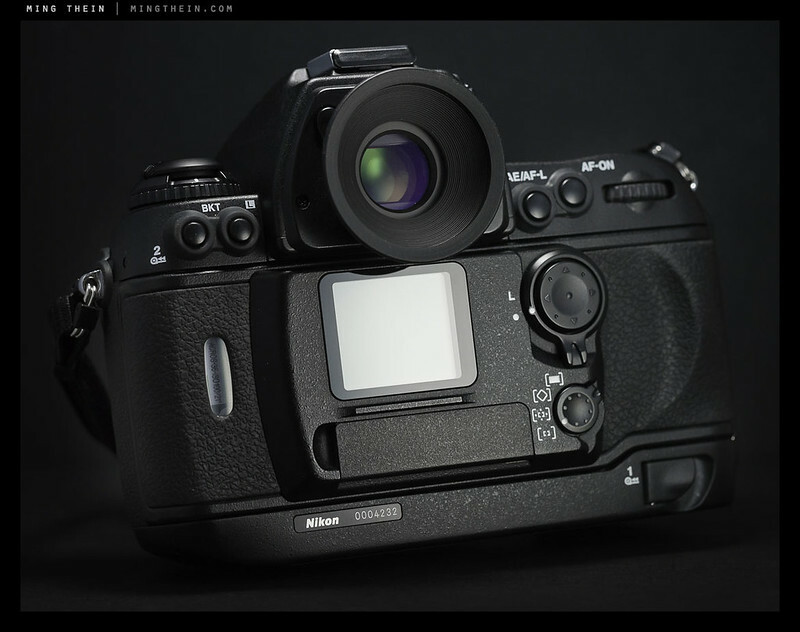 In 2004, however, Nikon gave the world one last hurrah in its long lineup of film cameras – the F6. The camera differs from its predecessors in many ways – firstly, it’s the only single-digit (pro) F body to lack interchangeable prisms; apparently this feature was so seldom used on the F5 that it was dropped. (Too bad, because the super-high eyepoint sports finder for that camera was a thing of beauty; easily the largest and brightest finder I’ve ever seen on a 35mm SLR.) It also revered to the F4 and previous designs that made the vertical grip a detachable unit, as opposed to the built-in on the F5. One can only suppose the F5 required a built in because of its insatiable hunger for AA batteries. The F6 uses a pair of CR123A lithiums; it lasts a bit longer, but two of those things still costs quite a bit more than a whole set of AAs for the F5. …but not what you think it’s for. The body is magnesium alloy and weather sealed. Needless to say, Nikon went the whole nine yards with the camera; I personally feel it’s the last of even the pro cameras where Nikon didn’t cut corners in the name of lowering costs. This perhaps explains why new prices – in Japan at least – are similar to a D800E; in the rest of the world you’re looking at somewhere between D600 and D800 money. They don’t seem to be doing quite so well second hand: expect to pay a bit over half for one that’s in mint condition. This of course means that they’re a bit of a bargain; I don’t expect prices to stay at this level once Nikon ceases production. The fact that the F6 is still available new at all is remarkable; I’m not sure who’s buying them, to be honest. But I am glad that Nikon still makes them all the same; they’re pretty much the remaining bastion of professional 35mm photography – other than the few MPs Leica makes every year. Despite being made of magnesium alloy, the camera is not at all light. Not even slightly. In fact, it’s perhaps one of the heaviest non-vertical-grip bodies I’ve ever used. It’s solid, hefty, chunky, and bestows a healthy degree of confidence on the user. Anybody who’s shot a digital Nikon pro body – say D200 and up – will instantly feel at home. The controls and autofocus work in the same way; in fact, you’ll probably feel so at home that you’ll have to curb your automatic instinct to check the rear LCD after each shot; yes there’s an LCD on the back, but no, it doesn’t show images – it’s there for you to navigate the custom function menu, in dot-matrix monochrome glory. Pretty much all of the custom functions present on the modern cameras are also in the F6 – except the ones relating to digital-only features, of course. You can even program the camera to leave the film leader out. It’s also possible to review exposure information (EXIF settings, if you will) for previous rolls; on top of that, the F6 can also be set to print exposure information in-between frames – it’s a very, very neat feature, and I use it all the time – even though the actual exposure info is pretty irrelevant. CAM 2000 works as expected – which is to say very well – but it lacks any sort of AF fine tune. Didn’t seem to need it with any of my lenses, though. I think that’s partially down to the limited ability of film to resolve small focusing errors, and partially down to good calibration out of the factory. Speaking of calibration, it’s clear that this camera was also intended for manual focus lens users: the viewfinder is huge, bright, and the standard focusing screen is excellent for manual focus; it shows a preview down to around f2, which is as good as my F2 Titan, and much better than my D800E. Focusing the Noct-Nikkor was a breeze, and right on the money every time (bar that lens’ propensity to focus shift wide forwards open, of course). sending an email to Bellamy Hunt of Japan Camera Hunter), or new for $2449 from B&H. Have you tried shooting this camera with Otus lenses? No, I don’t own it anymore. Hi, may i ask you which negative did you use in these photos? Ilford Delta 100 and Fuji Acros 100. I purchased a type J focusing screen for my F6, and everything is fine except that the microprism spot is not perfectly centered w.r.t. the focusing bracket. This is not at all a problem in practice, but I was wondering whether this is normal or I should ask for another screen (or maybe I did something wrong, but I’m used with changing my screens and never had problem, plus I double check and installed it it twice). Does anyone have the same thing with his F6 + type J screen? That’s odd. My original screens have always been centred; since reinstalling it doesn’t help, I’d get a replacement. Question for MT; have you tried out the F100? Thoughts? 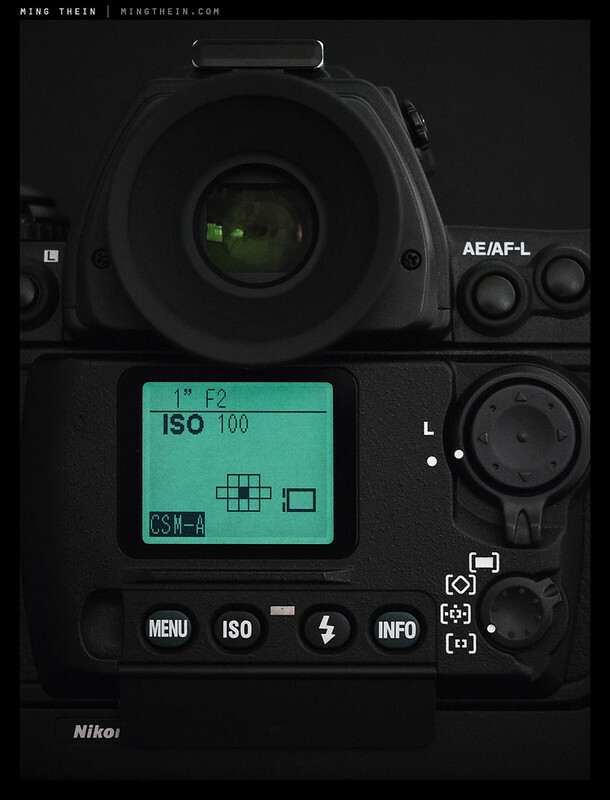 There are some areas worthy of attention; UI standardization (F6 is closer to D-series, F100 closer to the D800 and D300); battery standardization (F100 is all AA; F6 has a far-too-small lithium battery as standard and forces you to get the vertical grip to go AA); flash (F6 supports everything, CLS, iTTL, regular TTL; F100 is standard TTL only); and AF (F100 is five sensors, F6 is 11). I’ve kept my F100 all these years and if it breaks I’ll likely get another — a lot cheaper than the F6. I have to say I was very surprised when Nikon kept the FM-10, kept the F6, but discontinued everything in between, meaning no cheap body that supports G lenses. 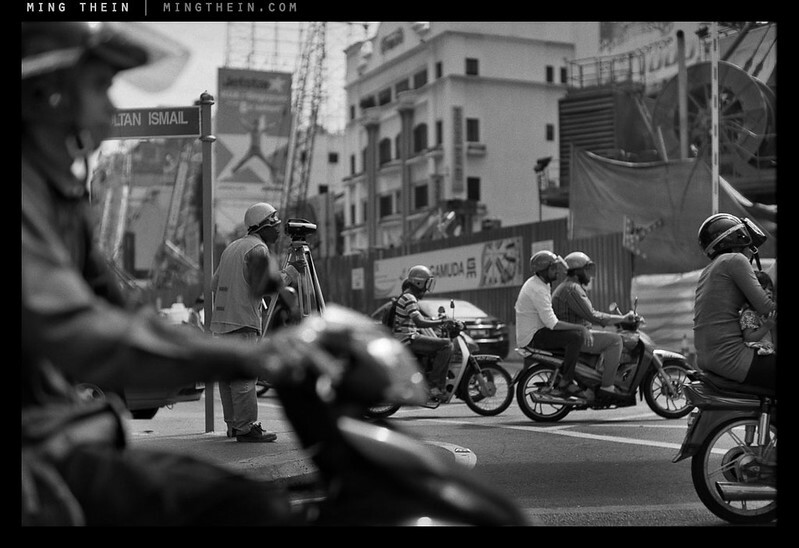 Neither the FM-10 nor the F6 does the job in terms of hooking people into the Nikon system by way of film. I don’t think they’re trying to hook anybody into the Nikon system with film anymore…for that, there are a whole load of used F100s – which are a much better option than anything new at the same price point! While I agree, I can see the commercial side of it too, and with the incredibly low prices of cameras like the F100 and F/N80, it would be difficult for Nikon to compete. I recently bought a brand new F80 with battery grip for $100. That’s a steal, considering how much they were new at launch. Same thing for the F6 – you can still buy them new, at nearly 3x the second hand price! I think Nikon did something with the AF system on digital that made it need fine-tuning. The way I eventually traced the problems I was having with my 17-55 to the angle of the AF mirror on my digital bodies was by trying it out on my F100, where it was perfectly accurate. Easy: they stopped bothering with mirror calibration because nobody used MF lenses anymore – most of the early and current bodies don’t even have the aperture indexing tabs anymore. And if you fit a dark, small, not very snappy focusing screen that only differentiates up to f4, then there’s little point in aligning the mirror properly…especially if it saves a few bucks. I’ve owned them all (F, F2A, F3HP, F4s, F5 & F6) and still do. I still shoot them along with my digital Nikons, but the F6 probably gets the most use. Wonderful film camera. The F6 has the best grip of any camera. It’s absolutely wonderful. … and design. The F6 is the most beautiful SLR they have ever made. On the other hand, it gives those of us who own one some extra pride of ownership, doesn’t it? No kidding. The grip on the F100 is great. D200, D300, very nearly as good. Their more recent bodies, you’ve got to wonder what they were thinking. The D7000 is awkward indeed without a vertical grip, and even then still bad; you airbush it out of your mind by attaching a good handling lens like the 17-55 and then letting your left hand take most of the strain rather than your right. The D800, D600 and D7100 are better but only in relative terms; they’re still uncomfortable. The Barbie-sized hands of Kristen Wiig’s SNL ugly duckling Denise singer character, the one with the creepy demeanour and the penchant for hilariously ruining godawful Lawrence Welk-style quartets, are about their design target. My own working theory is that, having gotten a little beaten up for not designing for people with small hands, Nikon threw the baby out with the bathwater and not only moved buttons a little closer together but also shrunk the grips to dollhouse size, a change no-one was asking for. Quite possibly. I have smallish hands and even then I find the grips too small…the F6 was spot on, in my book. Fine review and I agree all the way. The F6 is turning into becoming one of my most used cameras, together with the D700 and the Panasonic GH2. Since the F6 is a rather recent legend, how about looking into the latest, greatest in 6×6 film photography, the Hy6? It’s the only 6×6 camera currently in production and together with its older brother, the 6008, the only one with AF. I’m going to buy one, to have a smaller, lighter alternative to the GX680, but it’s expensive, so it might take a year or two. If you haven’t managed find one before I eventually buy it, you’re most welcome to try mine. I’m mostly in Bangkok, so not too far away. But again, it may take some time, depending on how hard I work. Thanks for making this post. I’ve shot (and own) every F since the original – still have my 1966 one and still use it! The F6 remains the one I go back to when it absolutely has to come out fine. Its metering is second to none with film and just about any lens. Combined with the latest Provia 100 and a 7200 scanner it can beat any digital camera short of a D800 – at low ISOs, of course. Add to that it “groks” just about any Nikkon mount lens and with an MV1 data reader it can actually produce data for EXIF encoding for each scanned image and it’s the best of the best, without a doubt. Great collection! I agree with the metering on the F6 (and by extension, D2/ D3 series) – it’s the best Nikon has ever done. The later cameras seem to be too AF-point weighted, and tend to deliver inconsistent results. Not sure I agree with you on resolution, though – I don’t see more than about 12MP of equivalent detail even with the finest-grained B&W films available. It’s also heavily lens-dependant, of course. But there’s no question it’s probably one of, if not the best 35mm electronic camera ever made. 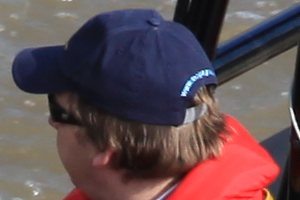 This http://members.iinet.net.au/~nsouto/photos/5d2%20cap.jpg is a real size crop of a 20MP Canon 5DM2 image available in dpreview, and you cannot possibly read what is written in that cap! 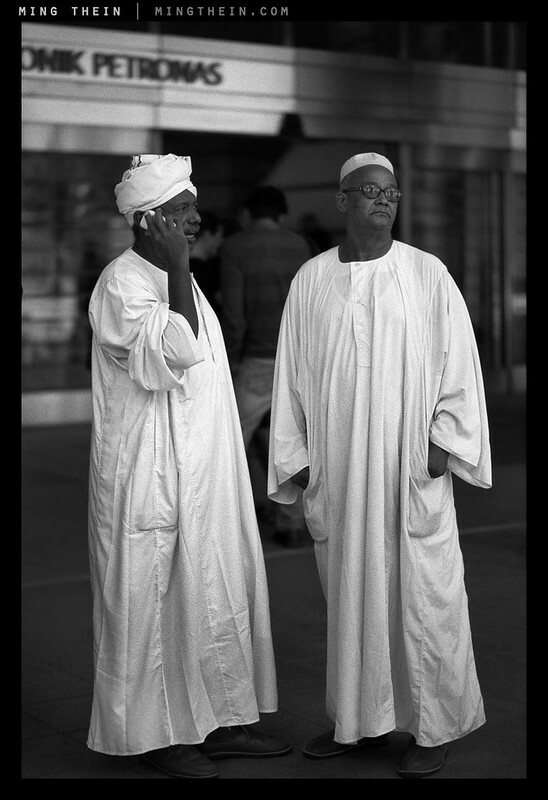 By contrast, this http://members.iinet.net.au/~nsouto/photos/20mp-10mp-8mp.jpg (on the left) is a real size crop of a 20MP scan of a 400(!) ISO modern film (Fuji Superia), taken with a Ai-S Nikkor 50/1.4 lens on an F6, handheld. I’m not counting detail pixels, but when I can read “NEW SOUTH WALES” in the letters right below the car plate registration, and they are much, much tinier than the Canon’s, something is amiss with the “film only does 12MP” mantra. Note the scan is not sharpened, while the 5DM2 is a processed jpg and sharpened by the camera’s processor. I do entirely agree, though: it all depends on the lens used and how accurate the focusing was/could be. I just happen to have concrete proof in many of my scanned images that film can easily equal 20MP – at low ISO, of course. I would never challenge digital upwards of 800ISO! Hey, not trying to convert you to film! 🙂 I do have 8, 10, 12, 16 and 20MP digital cameras and I’ve seen what they can do. But I find it hard to conceptualize digital images are sharp at pixel level, base rez. With Bayer sensors, that’s simply not possible. With Foveon? Yes, definitely. There is a reason why in-camera and raw processors use sharpening for Bayer, and it has all to do with that 3.5:1 pixel ratio for each final pixel. There is a base to all the Foveon hoopla, after all! There are some sharp edges in the above image, and some very awful OOF areas. What worries me is sharp edges are right next to areas that are fuzzy. And at any downress, it’s still impossible to read the small text on the cap while right next to it there are very good edges. 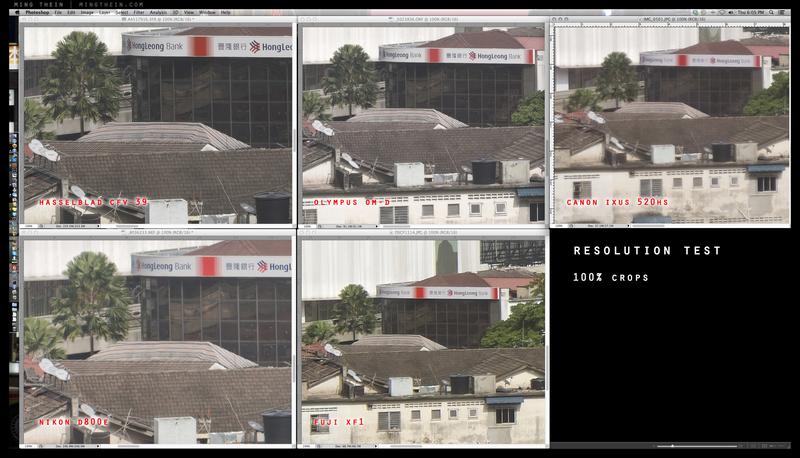 That to me indicates the in-camera noise reduction kicked-in where it shouldn’t. Still: the image is well over 20MP in size. Downressed to 12MP, it’s acceptable at pixel level – although as you well noted, not perfect. Of course there is grain: it’s 400ISO film anyway, and I scanned it in 2009 when I still hadn’t perfected how to eliminate it with my “home brew” Neat Image filters! With Provia 100, there would be none. Grain doesn’t print with most consumer grade printers and doesn’t worry me at all: it simply does not show with downresses for the web. The edge sharpness is as good as anything digital I’ve seen at 12MP base rez. Of course a 24MP shot downressed to 12MP will look sharper – that’s hardly the point. I have Adox CMS20 b&w shots that exceed the best I can scan with a Coolscan 9000: it simply does not have sufficient resolution to cope with it! Checked with a microscope and the scanner just can’t get the detail I can see. Still: this, just to illustrate what can be done with an F6 handheld, a 40 year old lens and 400ISO modern film. Hope you don’t take it as a film/digital war. Simply a statement of how good the F6 can be. Mostly because of it’s excellent focus system and superb mirror vibration reduction. I am continually amazed at how low a shutter speed I can edge out of this camera and still get images showing very little vibration! Only seen as good with rangefinders. That’s a very, very badly processed example. There are artefacts and oversharpening issues everywhere; these 100% crops – from a variety of cameras – should give you a better idea of what I expect from my digitals. First second The full scene, reduced but relative sizes maintained, is here. 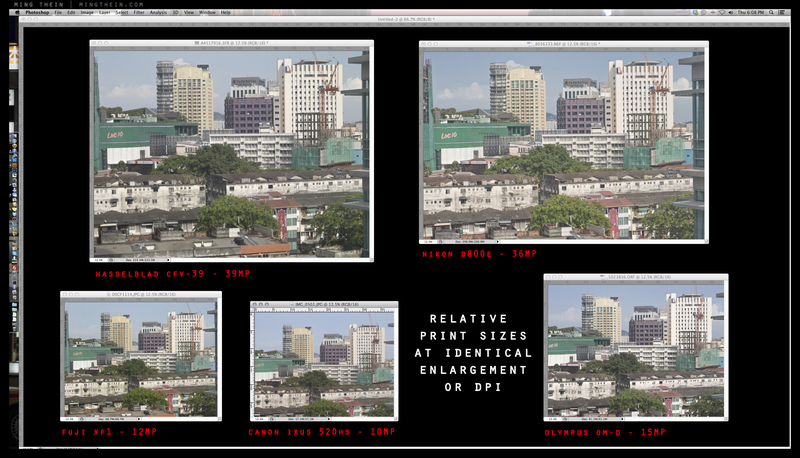 Apologies for the stuffed up link to dpreview: they encoded it with a time limit to stop links and I didnt notice it. The image in question is the one with the Zodiac motor boat in their “samples” section of the 5DM2 review. They have a link to full size from which I took the crop earlier shown. It threw me off investing in that camera! Note my shot is not meant to be a “advantage” of film. For those I have much, much better, taken with Provia 100 and Astia. It is simply an image that a few years ago would be impossible with any 35mm ISO400 film. Latest Superia X400 is indeed a very nice emulsion. And the 800 is not bad, in a pinch. Although film doesn’t hold a candle to digital with high ISOs! Oversharpening? That scan got a +1,+1 sequence of Focus Magic only – I don’t use USM at all. It’s nothing, compared to what I usually have to do with digital raw files (OMD, to use a common camera between us), where I use up to +3 with that sharpening tool. Agreed entirely: medium format can be amazing. I use Mamiya RB67 and 645ProTL for that, mostly. And thanks heaps for your replies and sharing your knowledge, it is much appreciated. I don’t mean to offend, and in the five years that have passed maybe your experience/opinion has changed, but if you’re not getting more than 12 MP of resolution from modern pro-grade 135 film as a medium, you’re doing something wrong. For starters there’s an ungodly amount of grain for T-grain films on these shots. Even with standard D-76 my rolls come out virtually grainless. I frequently get pixel-level detail on 16 MP scans of consumer-grade print film, so you can imagine what you can get with, say, Acros, Provia, or CMS 20 II (supposedly one of the highest-resolving films around, by far). Keep in mind slide film was designed to be projected into a wall—that definitely needs detail above measly 12 MP. No problem. Any particular reason you went for the 1V over the F6? i stumbled on a gem while holidaying in japan. the price was just to hard to pass up for a minty. i had in my mined either a f6 or 1v and just went with what jumped out at me at the time. I bought my first F6 from a professional photographer, who had gone all-digital shortly after buying it. I found this F6 it to be in as-new condition. I more recently acquired a spare F6, with only minor external wear, from Kenmore Camera through Ebay, and it appears to be functionally as good as new. I may soon acquire the Nikon add-on vertical grip, which accommodates the rechargeable battery used by the D2/D3-series DSLRs. 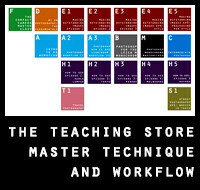 I reckon the next step will be to build a darkroom. Fortunately, my wife, a fan of older Olympus film cameras, agrees! I can’t imagine that doing forensic photography is particularly relaxing, or a creative outlet – if anything, there’s a different set of challenges that come from being as unbiased and objective as possible. No need to go to the extremes of a darkroom just yet; you can do daylight developing in tanks in your sink (which is how I work) – then ‘scan’ with a DSLR and print digitally. I find this hybrid workflow actually produces very, very good results. Hi Ming, I have a question. Do you get full matrix metering when you use the ZF 50mm Makro? I can’t seem to find a definitive answer anywhere on the net. Yes you do, if it’s the ZF2 version with the chip. Hey Ming, I found your review enlightening. But I would say that of all the things which I’ve happened to read. I purchased me a Canon EOS 1v on ebay some years back. It was a change going from a OM4t, especially in terms of size but I so loved the experience. I once toyed with the idea of the F6 (no brand loyalty here) the only thing was that I’m so used to using my camera with AA’s but I hope one day to get the opportunity to handle this fine piece of machinery. My question to you is have you handled the 1v? And if so how do they compare to you. Nope, not handled a 1V, sorry. I wouldn’t worry too much about battery types, CR123s are easily available in bulk off ebay. Curious why you would say “the actual exposure info is pretty irrelevant” regarding the feature to print this in-between frames. I would have thought this to be very useful info to have when looking through photographs later. I’d really like to learn more about this (seriously) as I always thought shooting data was very relevant to establishing a data point of what was used, so that if the exposure is wrong one can work from that and adjust for next time. I’d peg my skill level as somewhere barely north of “rank amateur” so probably have some misconceptions here. Do you have an article on this or could you point me at resources to learn more? No, because it’s somewhat moot: you get it right at the time for the given conditions, or not at all. Unless you’re shooting 100% controlled flash in studio, lighting conditions will always be different. It’s really not useful data for ‘next time’ – apply last time’s settings and you’ll probably find ‘this time’ isn’t right, either. Great to see someone taking serious note of the F6, very last of its breed. Handled one briefly some mns back and marveled at the sparklingly bright VF. After 4 years on a D700, its VF is shamefully dismal by comparison. Question for Ming; with all your lovely Leica lenses, how come you’ve gone for Nikon bodies instead of an M6 or M7? That’s because at the moment I’ve only got one lens – a 50/1.4 ASPH, which I use on the OM-D. I love my F6. I got mine last fall in mint condition used from KEH (US camera dealer) for half price new. I love my full frame D700 too, but my F6 feels nicer when I pick it up. The viewfinder is nicer. The numbers are bigger. The exposure meter is much better. The shutter sound and feel is smooth, subdued, satisfying. Even the on off switch feels nicer on the F6. And I shoot it mostly with MF lenses. (I grew up shooting slides on an FE with AI lenses). As far as CR123 batteries are concerned I buy them online for $1 each. Not too bad. I shoot with my D700 and love the low light versatility but I prefer shooting film. I love having an analog slide or negative in my hands which will last many decades and will be able to be scanned in whatever the technology of the future offers. And your camera doesn’t go obsolete in 6 months. I just hope Kodak, Fuji and Ilford keep making 35mm film or I will have nothing to load into this beautiful instrument (or my other 35mm film cameras – my nightmare scenario!) My freezer as a result has more film than food in it! Nice homage to the F6, Ming. Thanks for doing this. Thanks Greg! I’m with you on the freezer, by the way – my wife isn’t so happy, but relents when I point out that it pays the bills (the medium format stuff, at any rate). As long as you’re shooting the legends, you might want to arrange (perhaps through one of your many readers) to apply that talented hand and eye to a…. (drum roll)….Speed Graphic! It’s point-and-shoot, given a journeyman knowledge of exposure and zone focus. There is no question of optical vs. electronic viewfinder. There is no viewfinder, just a couple of wire frames if used as the photojournalists of the era worked it. Medium format. Black and white. All the push-pull processing you might ever want to indulge in. It’s my wager, given the examples shown in this series, that in the hands of Ming Thein a Speed Graphic can produce art. Sorry….make that large format. But the demonstrated portability of the equipment makes it medium-format-equivalent. Fine gear, case included. But it doesn’t carry the street-shooting panache of the Speed Graphic. I’d love to give it a shot. But first, before the camera, I need to find somewhere here that sells 4×5″ sheet film. Wow!! Only 15 rolls of film on a set of batteries? That’s amazing. My Fuji GA645 medium format film camera has gone one year one a set of the same batteries, shooting over 100 rolls of film. Quite the difference. Of course, the GA645 is a far simpler camera. If this thing chews through CR123s as you say, have you looked into rechargable CR123s? They’re compatible “in many applications” and lots of cameras. A charger and a pair of the rechargable batteries from dx.com or similar is about US$10. Terrific post! I look forward to reading all of your “shooting with the legends” posts. Thank you. I’m enjoying mine. It’ a lovely camera. There is an interesting interview with Tomohisa Ikeno at Nikon on their website about the development the F6. 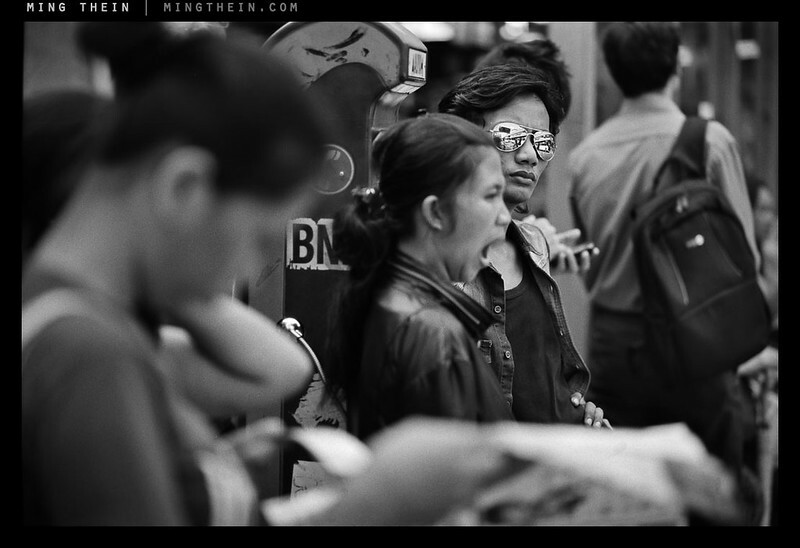 I was enticed into mine by photographer John Crane’s website nikonf6 dot net. A lot of good resources for F6 users there. Nice article Ming, thank you. This has got to be one of the SEXIEST cameras I have ever tried! Never had the chance to buy, but I am very loyal to my Nikon gear. Used mine in the military and didn’t ever mind the heaviness. You get quite used to it. Love the comments talking about push processing and film…wish it was still the norm to use film. I miss film! 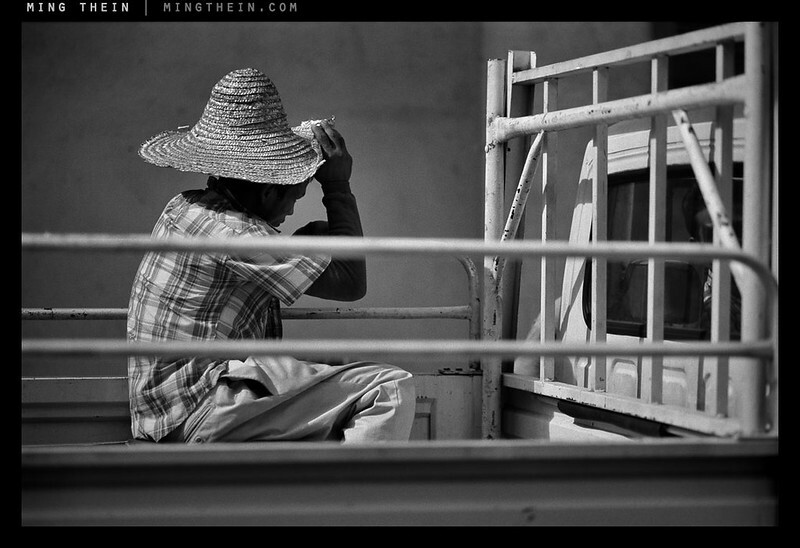 Your photography is beautiful Ming, thank you for such great images from your mind to ours! Thanks Heather! What cameras do the military use, out of curiosity? When I was in…which was back in the early 90’s, we used Bronica for most of our work. Yes, a heavy load to carry! Then we were allowed to purchase upgraded equipment for in the field…I ordered Nikon…but I honestly don’t remember the model. I want to say it was an F4 or F5. We were just skimming the surface of the digital era at that point, so I didn’t get to use a digital camera until I purchased one in 2007. I love my camera, but I’m still weary of the quality I’m getting with digital. It seems soft to me…I really had some great opportunities to work with equipment in the military that I would never get to use, or even try in the civilian world…so I was a bit spoiled in that aspect! How did you get started in photography? My start was in the military…didn’t even know how to focus when I went in! It really is my passion and my life at this point though. Modern digital is far more revealing of flaws in calibration, lenses and technique than film ever was; I find that if done well, the technical image quality of FF 35mm digital far exceeds that of even medium format film – however, the ‘soul’ is somehow missing. From a technical standpoint I think it’s mostly in the tonal response. Medium format digital comes close, and takes technical quality to another level, but it’s even more demanding still. Wonderful photos. Just wonderful photos. Will you still continue to use the F6? Absolutely – for personal work at the very least. I’m really enjoying this series, Ming. Thanks for writing it. I have an F5 and although it rarely sees any use, I’m glad I have it. Looking forward to the next installment!! Absolutely! Right after I finish the roll in my recently-acquired FA. Funny…with film I have to really want to take a shot where with my digital bodies I don’t give it a second thought (the number of shots I mean). I’ve had the FA for a little over a month and have all of 25 shots taken. Definitely makes you more careful, doesn’t it? What else is there to say about the F6 other than that it’s the finest 35mm film SLR ever conceived? 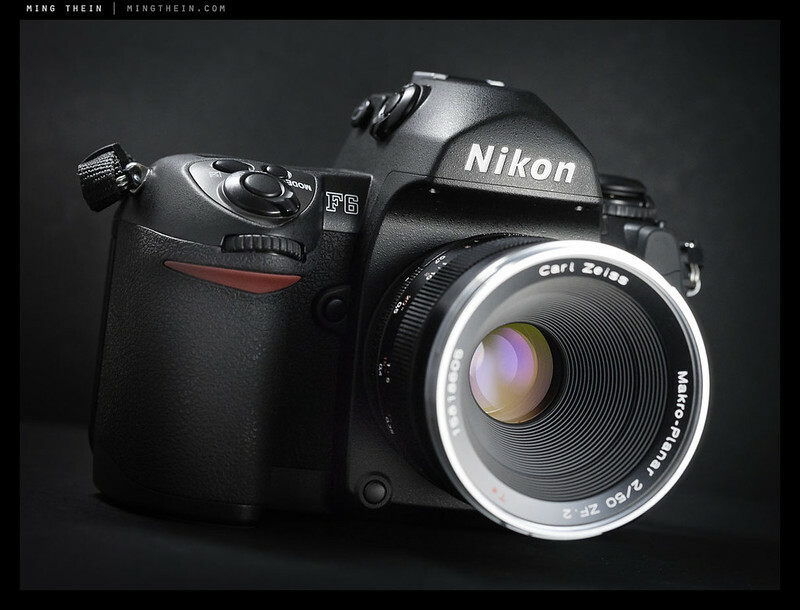 I secretly wish that Nikon managed to slim down their DXXX-series to the ergonomically sublime proportions of the F6. Aside from the black paint MP, it is certainly the one film body I will never let go of, even if I shoot a mere single roll of Portra 400 in it each year. Great tribute, Ming! P.S. What material are you using for your product backgrounds? I assume it’s some sort of dark grey paper… loving the texture! Thank you. Yes, I too wish they managed to retain some of the solidity and ergonomics of the F6 into the new DSLRs…alas, it probably eats too far into margins. Product shots – nothing special, just whatever black paper I can find at the local stationers. The Oly OM-series is even smaller, as are the F55 etc. I prefer the F100 over the F80 (having owned and used both), but F6 is still a dream away..
Not if second hand prices of film gear keep falling the way they have for the past few years…there eventually comes a happy point when your budget and the price intersect. Did your print arrive, by the way? I’d certainly consider it at this point. I’ve got a Plustek Opticfilm negative scanner, and an as-yet unresolved OSX driver issue means it randomly takes 10 times longer than it should and outputs horribly aliased files with the wrong exposure; you come to realise when it’s doing it and can cancel the scan, but there’s no telling how many attempts it will take to go back to normal. And it’s manual feed using a film holder, so it’s not quick at the best of times… Don’t think this is tennable going forward. Doesn’t that scanner work with Vuescan? I have good luck with that program in the past. It can be a bear to understand. I know I am one waiting on Ming’s solution. Ouch. That sounds terrible. I feed a whole roll from reel to reel to keep it tensioned, and using a DSLR you can copy a whole roll of 35mm in about five minutes. Thanks Chris. Yes, and Vuescan is better than the supplied Silverfast software, although both are outdated and poorly-documented. Unfortunately, my particular issue seems to be with Plustek’s drivers, and the affected user base isn’t large enough for them to bother doing anything about it. Thank you! And yes, curse thieves. Too bad Nikon didn’t quite get it right with the new grips…somehow they manage to go from good to bad to so-so and never quite manage to improve. I’d probably still be a Pentaxian if I still had the K10D. The K7 was such a disappointment, but it ate up my upgrade cash. Instead I’m now a proud OMD owner. As a D3 user I’m familiar with three of the four AF settings we can see on the F6 there [most clearly visible on the third picture, bottom left control]; what’s the diamond in square brackets AF mode? Person in the straw hat picture was my favorite. There’s single point, single point dynamic (search surrounding points but prioritise one), group dynamic (multiple points – 3 or 5) and search all points. The new Nikons after the D2/F6 series merged single point dynamic and group dynamic into one setting. Thanks Ming. I find the panel [search all points] in effect is “focus on the nearest thing, try and make it a person.” The thing with the D3 — I’m sure you remember — is that all the AF points disappear in “panel” mode so you don’t really know where it’s gone for. Though, by the exact same token, all the AF points are well and truly gone—I prefer this view of the World through the finder. I much prefer those bright AF points, but it seems that only the single digit cameras have them. With the rest, it’s black boxes. The big overall brackets indicate the general available AF area when you see no boxes. If you put the camera in 51-point 3D tracking, the active box lights up to show you what it’s tracking…it’s accurate and pretty cool. I remember seeing a demo of those 3D tracking lights on YouTube and being massively disappointed that the D700 didn’t do the same thing! Of course it does – the points just don’t light up as brightly as the single-digit bodies. They’re sort of a dull backlit LCD red as opposed to the intense fiber optic red of the D2/3/4/F6. Once lit (albeit dimly), the active box doesn’t actually move to show 3D tracking with the D700, does it? Mine definitely didn’t… I’ll be so upset if that was a custom function or something and I missed out! Mine definitely did, because that’s how I always shot it. You need to a) enable 51 point 3D tracking for dynamic AF; b) be in continuous AF, c) have AF point illumination on. Ffs! You’re absolutely right. Either it did do this and I’d forgotten or the previous owner had turned it off and I never thought to investigate. But yeah, the clean finder was seriously one of the three reasons I saved and saved and forfeited a new computer to have this camera. I’d do the same for an F6, if I could! 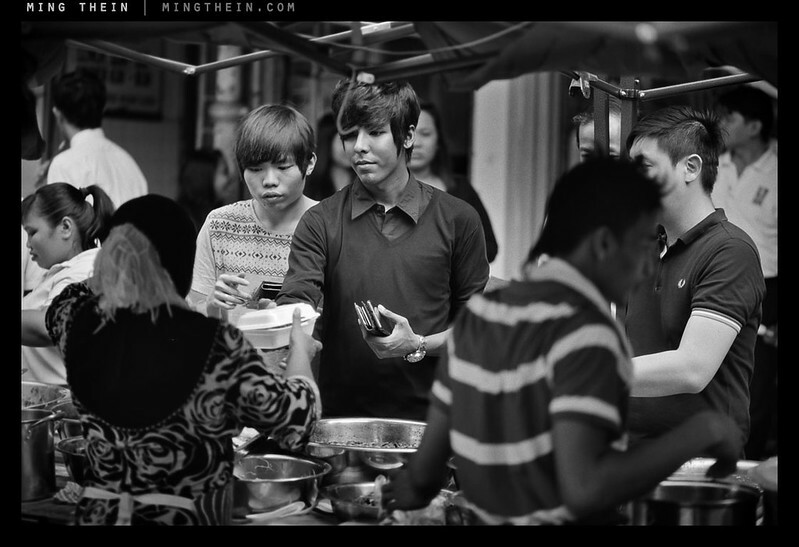 It’s great for reportage photography, especially combined with AF-C. Somehow this prescient tracking ability has been lost in the D800/D4, despite ostensibly using the same AF module – no idea what happened. 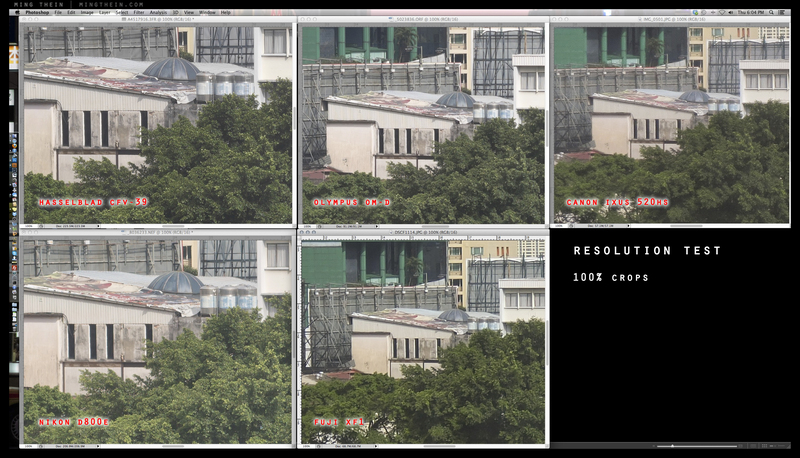 It’s not the resolution increase revealing deficiencies in accuracy, because the D4 isn’t that much higher resolving than the D3/D700 was – and it’s less than the D3x, which tracked things just fine. You can select AF point illumination on all bodies – it’s disabled by default in the non-single digit bodies. They light up a dull red – as though something is being shone on the LCD overlay (which is probably exactly what it is). Personally, I think the F6’s finder is even better than the D3/4 – partially down to the focusing screen being snappier, partially down to the increased eyepoint. That reminds me, I need to pick up some split prism screens for the F6 when I’m in Tokyo later in the year. The D700 could definitely have used a snappier focusing screen. Tricky to manually focus that one critically without using live view. Sadly, Nikon never made one officially. I landed up cutting down one from an F6 to fit. Was/is the F6’s viewfinder bigger than the D700’s, then? It felt larger, but it might not be. I think the eyepoint was definitely higher though. Thinking about it, it must be, as the D700’s only 95% coverage. Wonderful photos that demonstrate why film should still be a valid format for many photographers. I love the F6 and I will one day own one. You are right, it is hard to go back to 35mm once you’ve discovered 120, but I find 35mm film cameras to be just a joy to use and that’s probably what keeps me going back, that experience of a good 35mm film camera. 120 is wonderful, but honestly, many of the cameras in that format are clunky and less than ideal in daily use (that beautiful negative is worth it though). My F100 is just a dream to use and combined with the 50mm 1.8 I can walk around all day and shoot with ease. A wonderful tribute to an awesome camera! Your brought back some great memories with this review. The F5 was the first camera that I fell in love with. It did however as you state eat AA batteries. I recall when the F6 came out and I really wanted to get it, but by then I was onto the D100 and saving for a D2 series, knowing that my future in photography was always going to be bitter. I sold the F5 to fund some camera purchase, but I still miss that camera. I’d still love to have an F5. Kicking myself for not buying a mint condition F5 Titanium anniversary edition for about $650 when I had the chance…the regular ones are pretty affordable now. The regular ones are just silly: I routinely see F5s for circa 15,000 JPY here. I know they’re heavy and the stuff about batteries, etc., but this is a “hitoketa” (一桁) single digit Nikon! A flagship, a thoroughbred, a serious camera. If I didn’t have the F2 and wasn’t in love [unrequited] with the F6, I’d get one in ten seconds flat. For what it’s worth, the F5 also felt ‘right’ in my hands in the same way the F2 and F6 do. I’ll put away my devil horns now. I couldn’t agree more with how it felt in my hand. Even though it was a large camera it just felt solid. An 80-200 was well balanced on it. I never have had either an F2 or an F6, but if they felt half as good then I would have to consider at least one of them. The F5 was also my first pro level camera. The F2 is completely different in terms of ergonomics because of the mechanical nature of the camera limiting some control placements; the F6 is just as good – if not a bit better because of the grip shape. Large camera chain — Kamera no Kitamura — have a few circa 25,000 JPY give or take. Here’s a totally useable, presentable example: 19,000 JPY. This is a big chain store. If you walk around the smaller independents, you often see F5s, unloved at the very back of displays, and yeah, around the 15,000 JPY mark (give or take)… I just thought there was some massive issue with them and hence the price. Massive caveat alert—I’m not talking mint examples here. Scratches, no boxes, missing stuff, etc., etc; but the machine in working order. For mint, who knows, but double again? See a good few 903SWCs out and about here, too. Though they aren’t cheap and not a “slept on” item like the F5 probably is… Would you fancy trying one again? Incidentally, Hasselblad have a showroom in Harajuku — of all the bonkers places! — which might also be worth a visit (if I worked in the press dept. there I’d be inviting you to come). Yes. Please. We’ll go see the ‘Blad showroom. I had no idea they even had one in Tokyo. I was writing for a magazine at the time; it was on test. Possibly the last film camera we ever reviewed, actually. Out of interest, are the shots in this article/set pushed? Nope, these were all shot in the last couple of months with my ‘new (to me, at least)’ F6. a) I figured as much and b) no, why? Some may appear noisier than others – those are on Delta. The cleaner ones are on Acros. Aha! 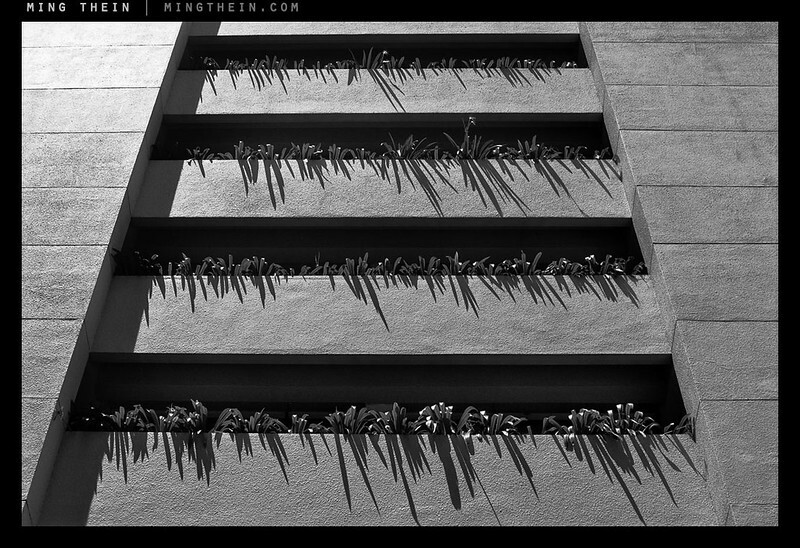 Delta 100 doesn’t push that well; it gets grainy and loses dynamic range fast. You’re better off pulling Delta 400, or pushing Acros. 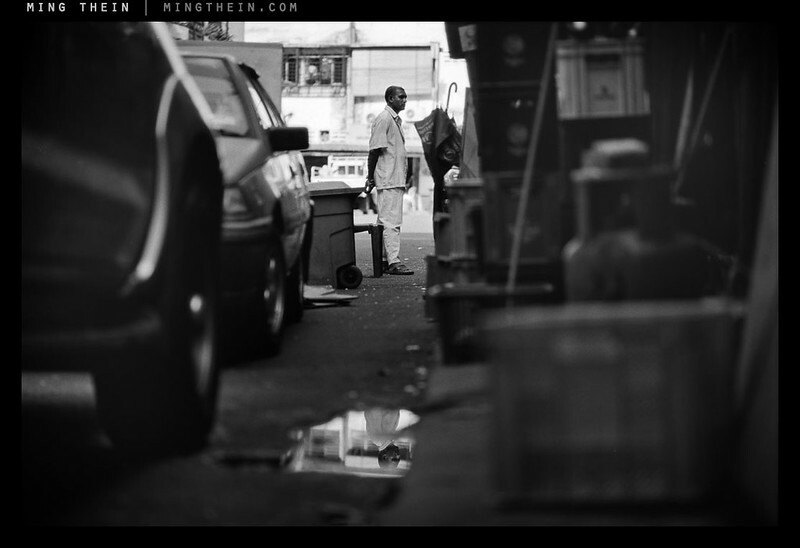 Surprisingly, Acros pushes with almost no increase in grain; the shadows just get a bit denser and contrast increases slightly – but the magical highlight headroom remains. It’s actually quite a nice look. I’d never tried it before because it costs extra when you’re getting it processed at a lab (£1.25 a roll to be exact–how arbitrary!) and I wasn’t convinced about letting someone else do it. I don’t actually mind film grain at all; the tonality of the roll I got back yesterday isn’t for me though. Will just shoot this next roll straight. You lose most of the shadows to noisy mush rather than just darkening them. I didn’t like the results either. I’d seriously try pushing Acros though; I think you’ll be surprised. The blacks get rich and velvety; I actually quite like the effect. Thanks, will do. I haven’t tried Acros at all yet! This is the first time for me to take notice of this camera. I must say that the ergonomics and design look wonderful.. it seems to inspire total confidence just by looking at it.. It could have been designed by the same team that do the Ricoh GR’s.Somehow more interesting than Nikon’s digital SLR’s to my mind. They are – and the in-hand feel is fantastically solid, too. The GR feels pretty light and hollow, but then again it is mostly magnesium and silicon – neither of which are known for their density. Ming, I love these pictures! I loved using the FA and the F5, but never went as far as the F6. I had converted to the D2x at that stage. Sadly, but not surprisingly, the range of film available is continuing to decrease with the recent demise of Fuji Neopan and Provia 400, and fewer and fewer places to process what is available. I guess all that really means is that we have to develop stuff ourselves.